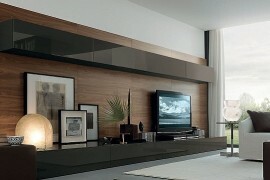 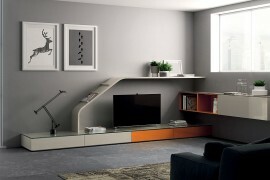 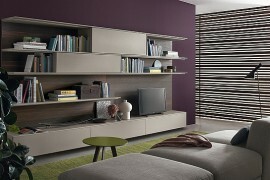 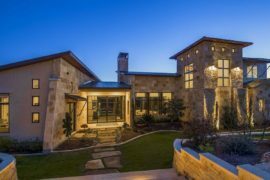 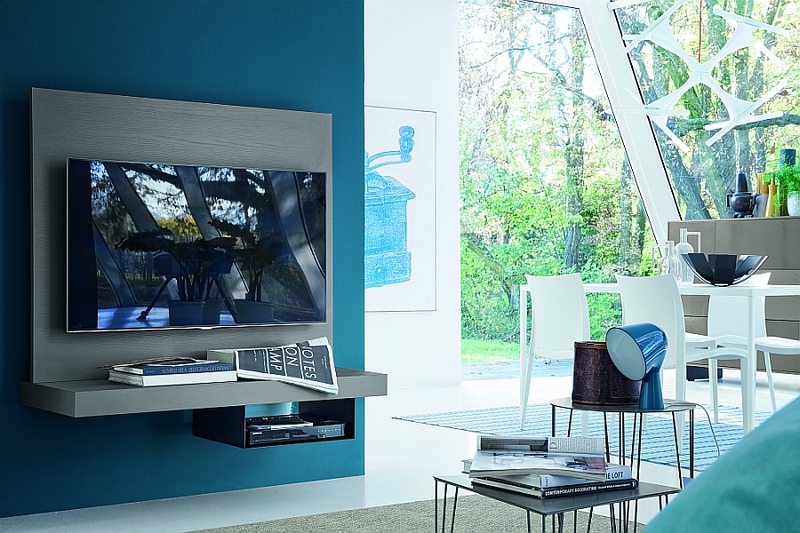 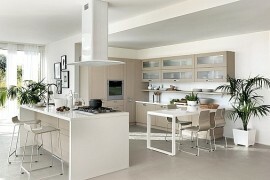 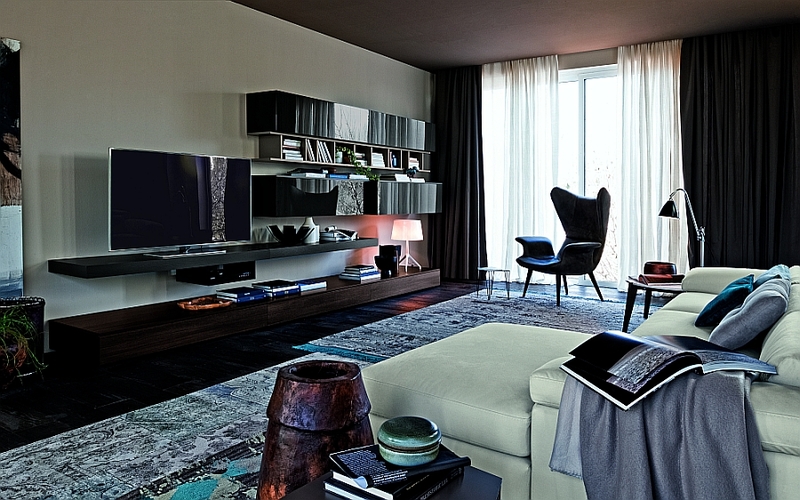 When it comes to living room wall units, adaptability and versatility are the key elements that we often look for. 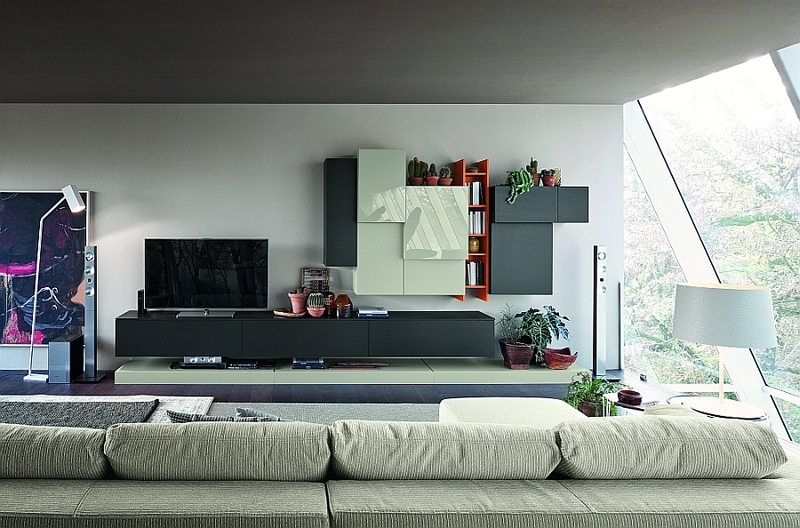 Modern modular wall-mounted living room units tend to bring together these components along with hip hues and trendy designs to offer homeowners an endless array of choices. 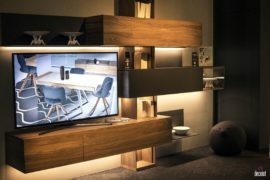 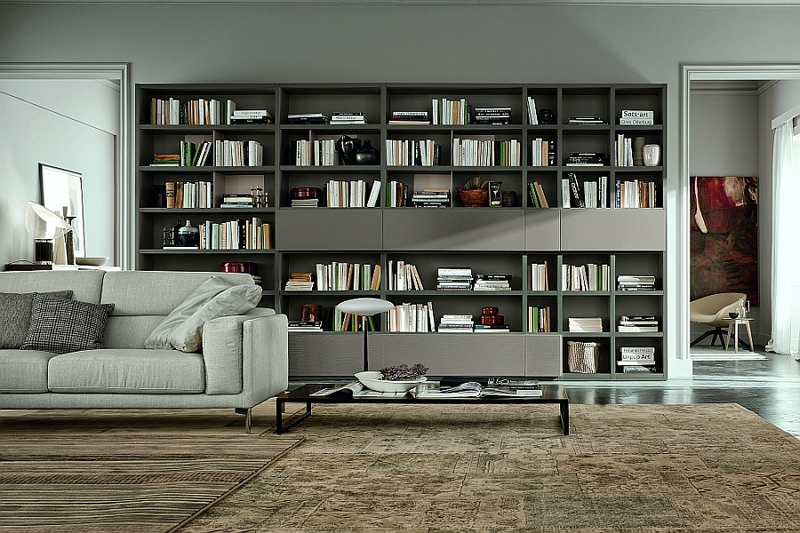 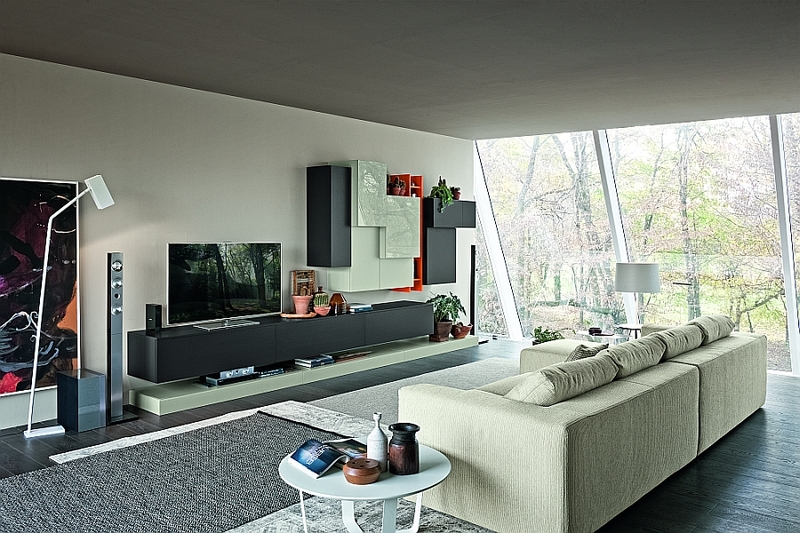 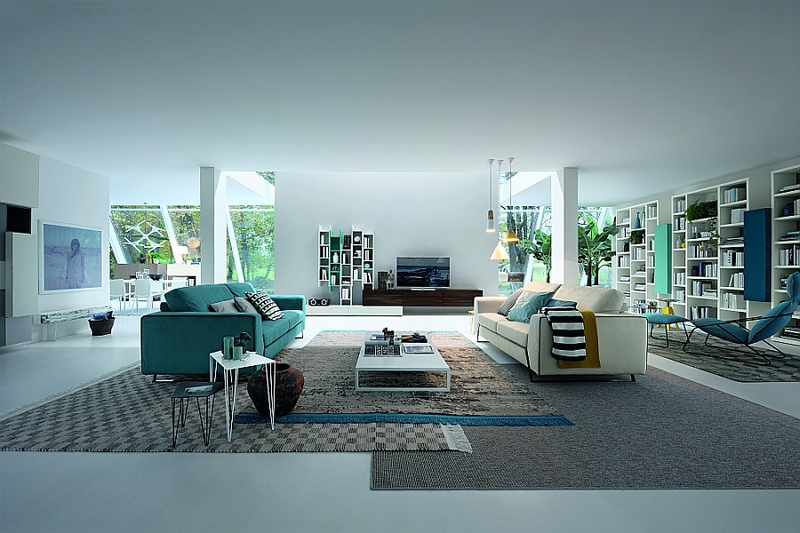 The latest lineup of Italian-designed living room units from Febal Casa offers smart space-saving solutions while enlivening your interiors and giving your home both textural and geometric contrast. 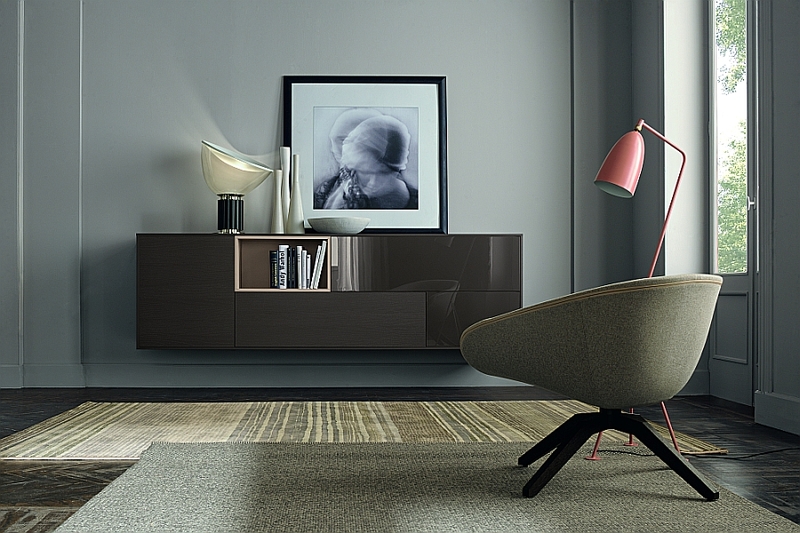 Available in a multitude of compositions, the trio of Live Contemporary, Family Feeling and Colors Everyday sweeps you off your feet with a perfect amalgamation of style and ergonomics. 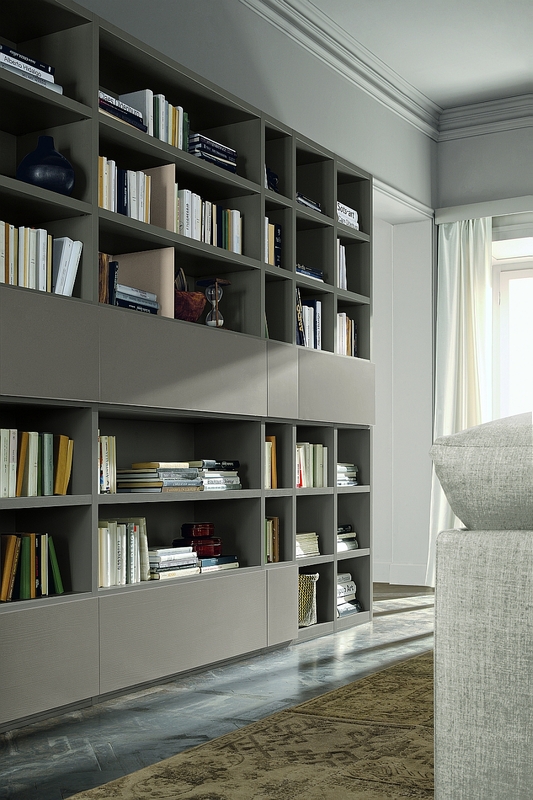 Compositional freedom is the key element that defines these stunning wall units, and this feature gives your home a sense of strong individuality. 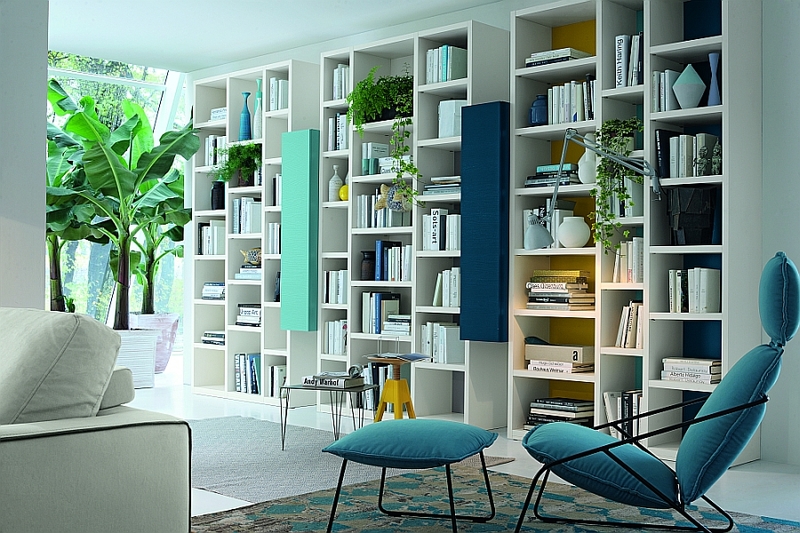 Adapting to the unique floor plan of your home and growing along with your needs, these wall units seem to use the classic bookcase system as the backbone of their design. 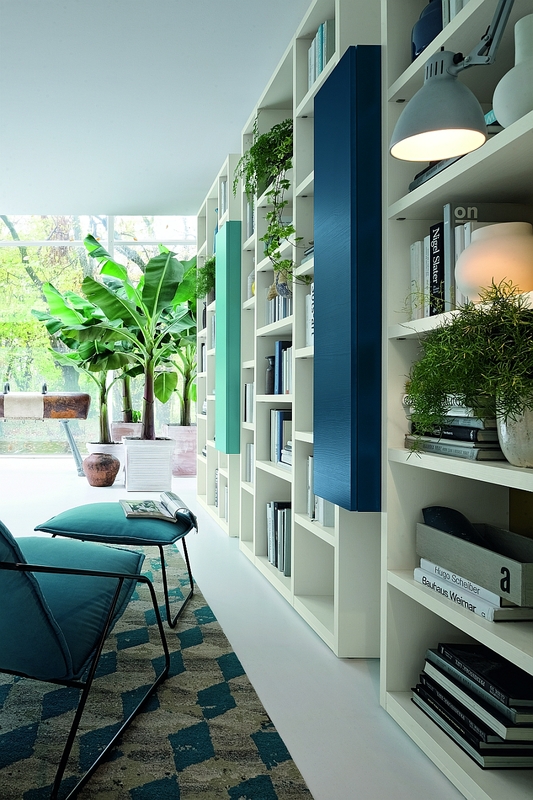 If you love digging into the latest best seller and decorating with books, these lovely compositions will draw you in almost instantly. 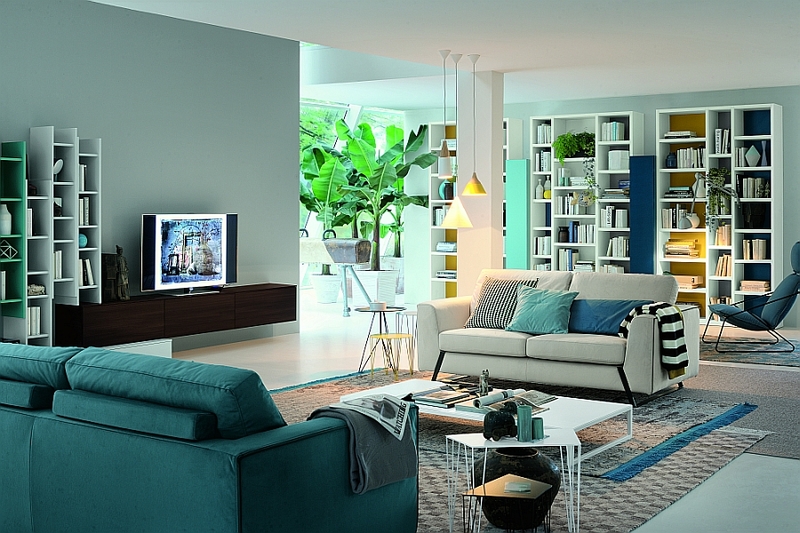 While Live Contemporary offers a more formal and elegant look, Colors Everyday brings a hint of playfulness and excitement with its lovely shades of blue and yellow. 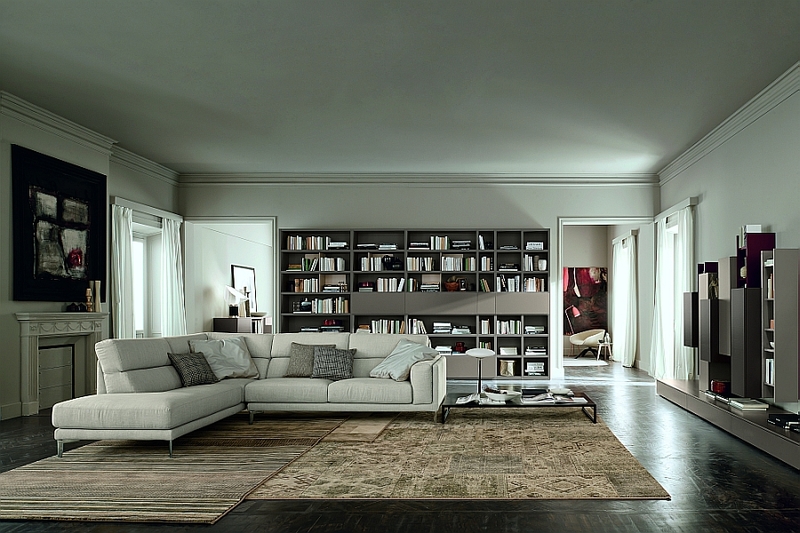 The Family Feeling collection offers refined simplicity and fits seamlessly into modern living rooms with an understated, neutral color scheme. 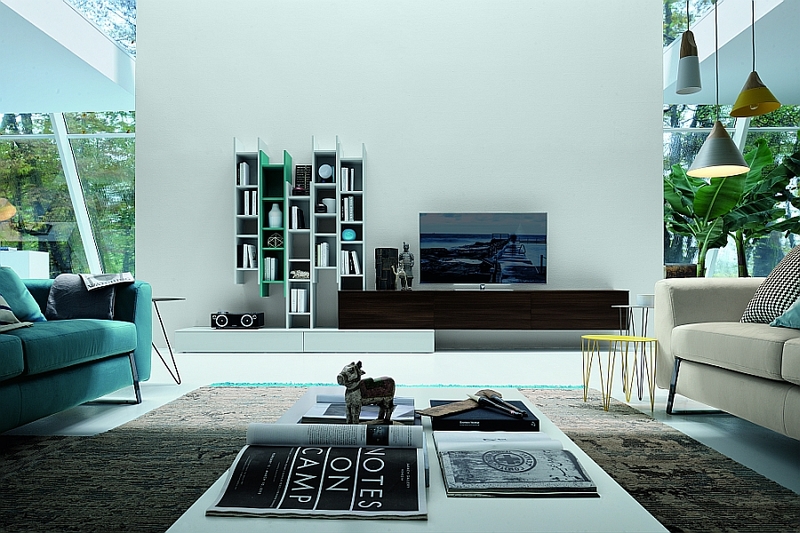 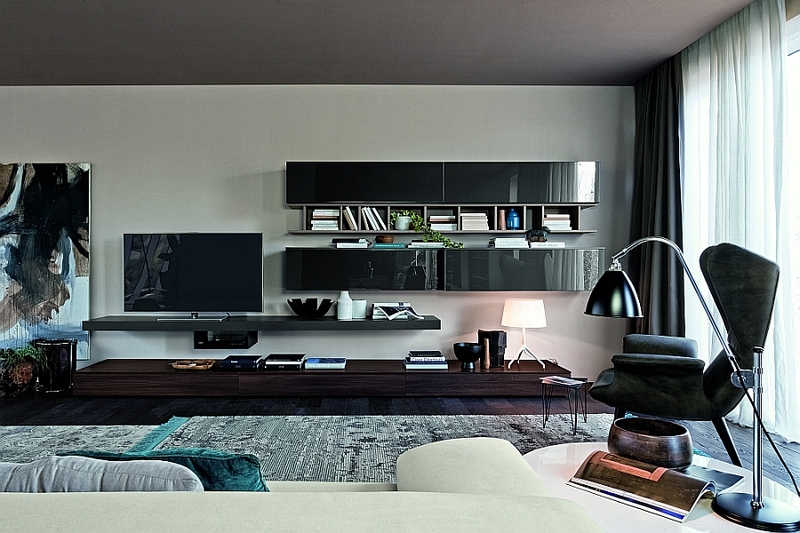 Featuring TV stands that conceal the wiring and hold your precious entertainment hub, as well as dynamic sliding shelves that constantly alter the appeal of the room, these lovely wall units add personality and panache to your home with ease!